Comments: New, never used. Shrink-wrapped. Designed to meet the standards established by the National Association for Sport and Physical Education (NASPE) and the North American Society for Sport Management (NASSM), this book is intended to provide professional practitioners and students in sport management a book with comprehensive survey coverage of the many traditional and innovative aspects of financial management. The focus of this text is upon the basics of financial management including, but not limited to: diversification of revenue, acquisition of revenue resources, financial management, auditing, sponsorships, licensing, franchises, fund raising, and more. 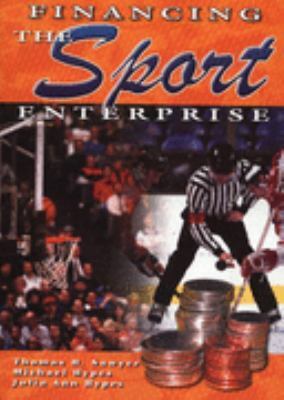 Different from most general finance texts, this book focuses on and uses many examples specific to the sports field. Plus, it has many practical examples and ideas for the practitioner to use. With this knowledge, readers will be able to take a proactive role in confronting the fiscal challenges faced by their organisation.Sawyer, Thomas H. is the author of 'Financing the Sport Enterprise' with ISBN 9781571675200 and ISBN 1571675205. Loading marketplace prices 39 copies from $1.50 How does the rental process work?